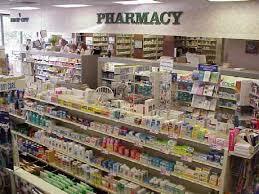 The Southern District of Florida’s opinion in Pharm. D v. Founders Insurance Co., 2014 WL 32557844 (S.D.Fla. 2014) illustrates that absolute importance of notifying a liability insurer of a claim and a lawsuit; otherwise, coverage that would be afforded to an insured could be voided. This should never occur! In this matter, a water pipe ruptured and a fire occurred at the insured’s premises. This resulted in damage to a pharmacy located below the insured’s premises. Due to this damage, the pharmacy filed a lawsuit against the insured. The insured failed to take any action in the lawsuit and a default judgment was entered against the insured for in excess of $500,000. “The insurance policy in question had a continuing notice obligation for a reason: the insured had the best information on legal action brought against it and, therefore, the insured was required to keep its insurer informed of developments. Accordingly, the insured had two distinct duties: (1) to notify Defendant [insurer] of any claims and (2) to notify Defendant of any lawsuits filed which may implicate the insurance policy. Pharm. D, supra, at *3, *5. The lesson learned from this matter is that if suing a party in which liability insurance is applicable (such as any case involving property damage or personal injury), take affirmative steps to ensure that the party’s liability insurer (CGL insurer) is notified of a claim and of the lawsuit. Even if the party does not respond to the lawsuit, send a copy of the lawsuit to the party’s insurer. Take steps to locate the insurer or the party’s insurance broker to ensure that proper notice is served and so that you are not relying on a potentially silent party to notify its insurer of a lawsuit (especially, when you are relying on insurance to cover your damages). Clearly, in this matter, the insured-party did nothing despite having CGL coverage that perhaps would have covered some of the pharmacy’s damages. This entry was posted in Construction Defects, Insurance and tagged CGL, construction defect, duty to defend, duty to indemnify, Florida Statute 627.4136 by David Adelstein. Bookmark the permalink.